Dhaka may be one of the most densely populated cities in the world – noisy, grid-locked, short on public amenities, and blighted with sprawling slums – but, as these stories show, it is also one of the most colourful and chaotically joyful places you could possibly call home. Slum kids and film stars, day-dreaming rich boys, gangsters and former freedom fighters all rub shoulders in these streets, often with Dhaka’s trademark rickshaws ferrying them to and fro across cultural, economic and ethnic divides. 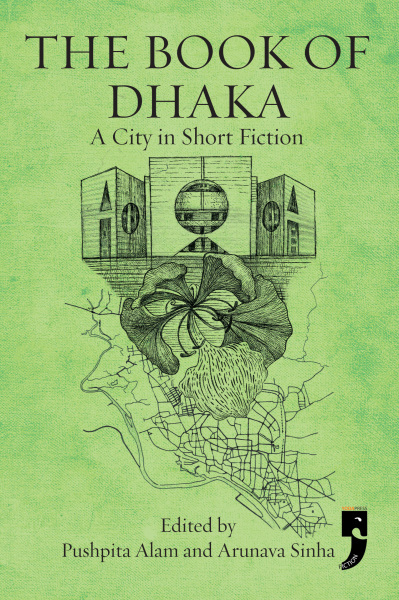 Just like Dhaka itself, these stories thrive on the rich interplay between folk culture and high art; they both cherish and lampoon the city’s great tradition of political protest, and they pay tribute to a nation that was borne out of a love of language, one language in particular, Bangla (from which all these stories have been translated).